My love affair with Crep Protect started when Darcy’s Dad brought her a pair of pink Timberlands. I went from thinking, "aww they are so cute!" to "she will never be wearing them out as she will ruin them after one outing". So they sat looking pretty in a box for a while, that is until a friend of mine posted a video on Facebook of Crep Protect in action. After watching numerous videos on YouTube and reading countless reviews. I decided what the hell, I’m going to buy a can. The application was so easy, you simply just spray 20cms away onto your clean footwear. In a well ventilated area or outside, leave it to dry for around ten minutes. Spray another coat and hey presto! !, you are protected for up to two weeks without reapplying. 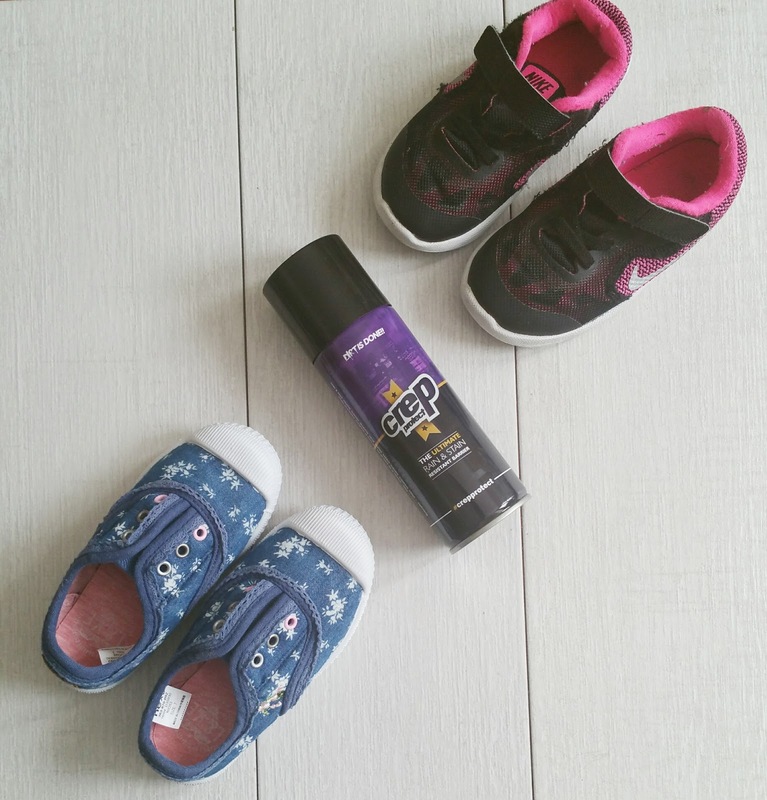 Crep Protect will leave your shoes water resistant, and protected from dirt and most types of residue. Darcy wore her Tim’s out and of course she did get them dirty straight away. However, when I got home I wiped them with a baby wipe and everything came off so easily. They look as good as new to this day. One thing I would say about Crep Protect is they are missing out on a larger audience by only marketing it for trainers. This works on all types of footwear. 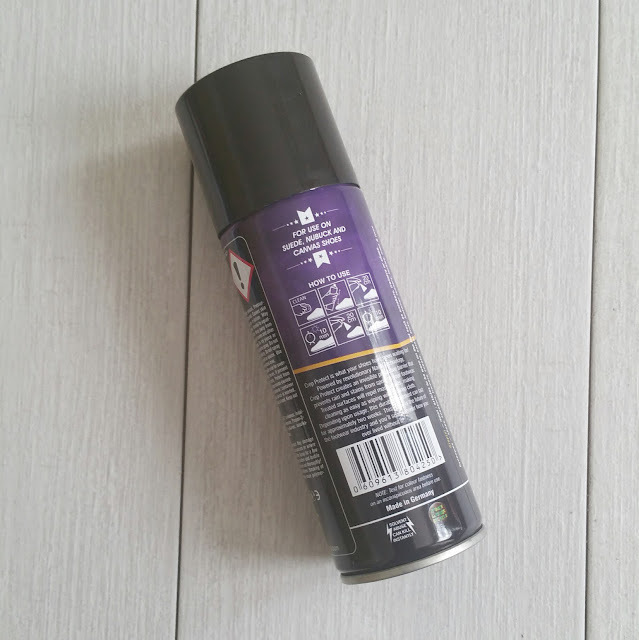 I have sprayed it on all our trainers, shoes and boots, anything I know that might be scuffed or get really dirty. I’ve even been known to spray it on one of my favourite white canvas bags. 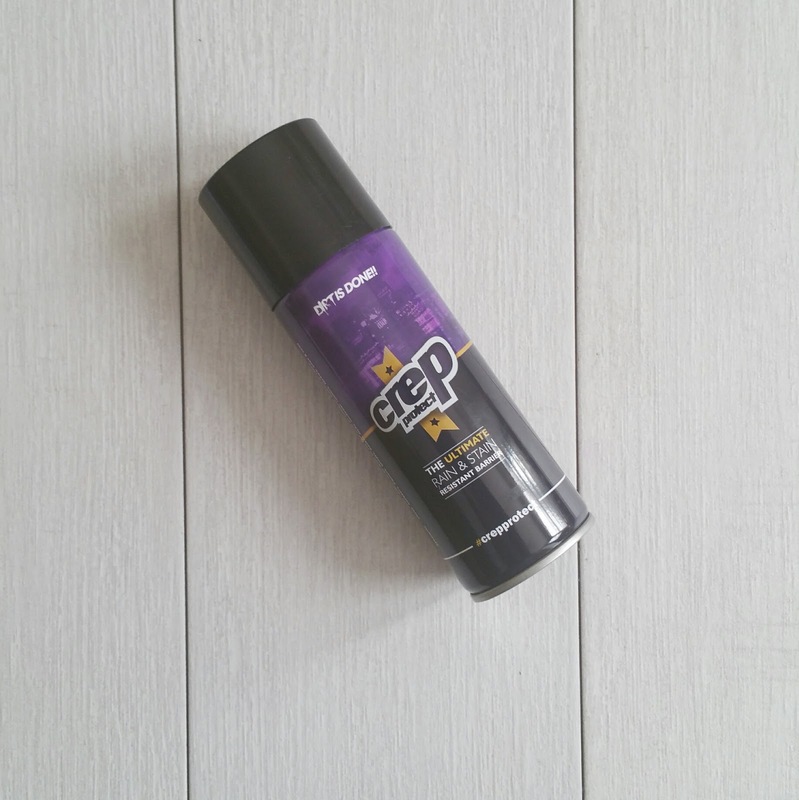 A can costs £10 which I got from Amazon, however Crep Protect is available in most footwear stores. You can find out more about Crep Protect by visiting their Twitter, Instagram or Facebook Page. I am now a true fan of Crep Protect. Once you try it, you will be one too. It sounds really handy - my husband is fairly obsessed with keeping his trainers super clean so it would be great for him!